Ukrainian Philanthropic Marketplace is Ukraine’s first independent nationwide social online philanthropy infrastructure. We provide a unique service for Philanthropists and for those who need help. Here every man, every company or organization can find and support a charitable Project of their choice. And to make it the easiest and the most convenient way for themselves. Here each Hryvnia devoted to charity, will be spent only for its intended purpose. Each Donor will receive a full report for each spent hryvnia. And, of course, sincere words of gratitude from those whose lives have improved thanks to your donations. Together we change the world & create opportunities. An opportunity to unite many people behind the problems that we can solve together. An opportunity to help the needy. An opportunity to check personally how and for what the charitable money will be spent. In the end, an opportunity for everyone to make our world more kindly and better. Our goal is to create, to maintain and to develop an effective collaborative platform of donors, non-governmental organizations (Operators of Help) and recipients of help, strengthening the non-profit sector and philanthropy in Ukraine in a such way. The project was initiated by the grant of the Victor Pinchuk Foundation. Ukrainian Philanthropic Marketplace (UBB) is actually an online store. We don’t offer "microwaves and cosmetics", but the opportunity to save or at least improve the lives of individuals. The Ukrainian Philanthropic Marketplace raises money for worthy causes and Projects throughout the country. Every Project is a story of individuals who need your help. Each project is someone's problem, history, someone's pain and hope. Our task is to gather those who want to help and those who need it together. 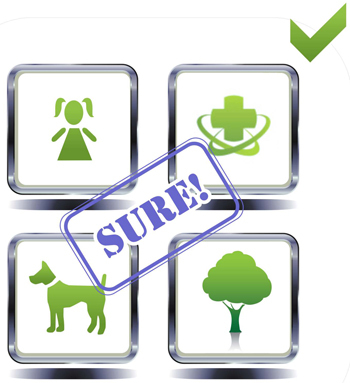 Here everyone can become a Donor: it is easy, simple and convenient. Choose any project, enter a sum into the appropriate field, and just click the "Support" button. And we guarantee that your donation reaches its goal. Every donor will receive a full report about spending money donated by him. Moreover, together with our Operators of Help we are open for the cooperation. Anyone can personally come and make sure that everything written in the report is the truth. Because Ukrainian Philanthropic Marketplace can work only thanks to the people's trust. Each history is the Project submitted by the Operator of Help. At the very beginning, to select the first Operators of Help, we processed the base of registered NGOs and charity organizations of the Ministry of Justice – at that time there were more than 4 000 positions, then we have filtered "dead", formal, political and suspicious organizations. We have visited all the regions of Ukraine and the true Activists there. Nowadays our Operatoes of Help are more than 120 registered NGOs that operate in accountable, transparent and public way. And we are ready to vouch for them. We conclude an accreditation agreement with each Operator of Help. In case of the first proven misuse of funds received via UBB, Operator of Help loses its accreditation. UBB does not receive a percentage of the donations. 100% of your money, except on-line payment commision, allocates directly for the Project. The expenses for UBB support are funded through the budget of large domestic as well as international charity funds. You can also support the activities of Ukrainian Philanthropic Marketplace for your contributions – it helps us to work. Charity Projects’ donations are accumulated on the bank account of UBB until the sum is raised. Now you know how it works. There’s left nothing at all – just to choose any Project, enter a sum into the appropriate field, and just click the "Donate" button. Only accredited Operator of Help can post a project on ubb.org.ua. ICF "Ukrainian Philanthropic Marketplace" does not accept applications for help from individuals. If you need help, please contact one of the ubb.org.ua partner charity foundations, and better is to email a couple of them at once because some funds may be more loaded and respond to your request later than expected. go to the section "Operators of Help"
Once one of the funds agrees to help you, it sends ICF "Ukrainian Philanthropic Marketplace" an application with the relevant documents to publish the project. If the project meets all the requirements, it will be published on the website ubb.org.ua. ICF "Ukrainian Philanthropic Marketplace" does not provide financial aid, but offers a tool for fundraising. Rules, Principles and Procedures set fundamental spheres of activity of the Ukrainian Philanthropic Marketplace (hereinafter referred to as UBB) and regulate the relations between recipients and providers of charitable assistance in the frame of their cooperation on the internet platform of the Ukrainian Philanthropic Marketplace in accordance with Ukraine’s legislation. Rules, Principles and Procedures of UBB are aimed at the development of charitable assistance, humanity and mercy. Rules, Principles and Procedures of UBB establish conditions for legitimate activity of recipients and providers of charitable assistance between recipients and providers of charitable assistance by means of innovative method of solving socially important issues of internet platform of the Ukrainian Philanthropic Marketplace. Operator charitable assistance (hereinafter - the operator or operator assistance) is a legal entity of private law, the founding documents of which define the charity work in one or more areas, defined by the law as the main goal of its activities; non-profit organization as well as charitable fund or charitable organization established in accordance with the procedure defined by law for charitable activities; public organization created to provide rehabilitation, fitness and sports for disabled people (disabled children) and social services, legal assistance, implementation of environmental, recreational, amateur, sports, cultural, educational, and scientific activities. 2.1. UBB performs charitable activities through the creation of a communication platform – a tool for more effective fundraising for charity projects. 2.2. The main object of charity work on UBB is a charity Project, information about which is available on the website ubb.org.ua. 2.3. The UBB website provides information only about projects submitted on UBB accredited nonprofit organizations, including public and/or charitable organizations registered in accordance with the laws of Ukraine. 2.4. UBB will not accept requests for publishing of charity project on the UBB website for public fundraising from individuals and initiatives directly. UBB informs about the possibility of filing such applications accredited on UBB by the Operators of Help. Operators of Help apply for the publishing of the charitable project on the UBB website if they have an opportunity accurately to process and verify information provided. Then Operators of Help apply for publishing of the charity project for the public fundraising. 2.5. Each charity project should be directed solely to provide charitable assistance. Each charity project is tested by UBB before the publishing. 2.6. The UBB accepts applications for conducting charitable public fundraising and places information on charity actions for public fundraising from individuals, legal entities and initiative groups on the UBB website. The UBB informs about the holding of these shares on the UBB website by creating appropriate promotional boxes of the collection of charitable donations. As a result of these shares, the UBB, at its own expense, spends collected funds in pursuance of the statutory goals and objectives, including the implementation of charitable projects posted on the UBB website. Setion II. Operators of Help. 3.1. To become a fully-fledged Operator of Help and to get access to all the facilities and tools UBB, public (charity) organization must successfully complete the accreditation procedure. A decision of the Tax Inspectorate of the State Tax Service of Ukraine for inclusion in the Register of Non-Profit Organizations and Institutions (code 0036, 0032). 2. Main programmes/approaches of activities – description in no particular form. 4. Head of Organization – full name and contact information. 5. Full name of the Contact person responsible for leading projects on the UBB website. 3.2. Operator of Help loses the accreditation in case of suspicious transactions made by the Operator, including fraud and/or misuse of funds raised on UBB. In this case UBB ensures that the information on this case will be the most replicated and disseminated by all available means. In case of violations of the Rules and procedures of any form of further cooperation between Operator of Help and UBB will be excluded. The organization was registered in Ukraine as a non-profit organization as well as NGO or charitable organization, and it has a non-profit status. Can be provided the recommendation letters from the partners (public or charitable organizations). Availability of recommendation letters from already accredited on UBB Operators of Help is desirable but not mandatory. 4.1. After the accreditation UBB provides for the Operator the technical ability to create their UBB profile. On the Profile page Operator is obliged to provide full information on its activities. By the agreement the Operators of Help accredited by the UBB can publish several projects, financial reports and statutory documents proving transparency and rational approach to work, etc..
post the reports, photos and video content, links to media materials dedicated to this project, keep a blog on the page of the Operator's Project, express an information, following the provisions of the legislation of Ukraine on Human Rights, information, about the health care, etc..
4.2. In its own profile the Operator of Help posts by its own the information about itself: contact info, areas of business, a list of successfully implemented projects, etc.. Operator of Help with the long successfully implemented Projects' List, will get higher rank on the UBB website among the other users of UBB. 4.3. Number of active projects from one Operator of Help published on the website at the same time, is agreed by UBB and depends on the ability of the Operator properly to implement, to control, and to accompany the project by the information providing interim and final reports, etc..
Publications in media about the organization. 4.5. Operators' webpage should not be overloaded by the history. It is desirable to cover the ongoing activities, achievements, future plans and strategies. Very positively are perceived the "success stories", followed by photos, videos, and printed materials. UBB has the right to remove information that contradicts the principles, rules and procedures of UBB, Ukrainian legislation and norms of international law. The Operator is solely responsible for the published information and the behavior of its representatives on UBB according to the law, morality, and to comply with the rights of third parties. 5.1. UBB considers the ability to publish the projects only from the accredited by the UBB Operators of Help.Operator of Help sends an email to UBB applying the application form for publishing the project (that is sent to the Operator of Help after being accredited), enforcing it with all necessary documents, photos and video. The project is accepted for consideration if it meets the requirements for registration of charity projects. 5.2. In case of a positive decision on the publication of the Project, UBB and Operator of Help sign aadditional agreement to the Cooperation Agreement. The project will be published on the website after signing the agreement and the applying the text of the Project prepared by the Operator of Help in Ukrainian, Russian and English. Operator of Help may be given the opportunity to fill in a project in a special dialog box on the UBB backend site (access to the administrative part of the site is granted by the UBB). The Project prepared by theOperator of Help gets the status "Ready to publish". The right to publish the project belongs to UBB. 5.3. On UBB can be published only public and charitable projects. Projects for profit are excluded. Unacceptable are projects for supporting the political parties or religious denominations. Advertising and sales of products is not permitted in any form. The project can not fit into one of the categories. In this case, it will be designated as Special (such as collecting donations for disaster management). 5.4. The operator shall notify and coordinate with the UBB any changes and deviations of the project implementation, providing justification. 6.1. One of the most important tasks of UBB is forming and increasing the Trust level of Donors to charity as well as also to help Operators. Experience in other countries shows that the trust is formed only under conditions of transparency in the raising and using of charitable funds. 6.2. 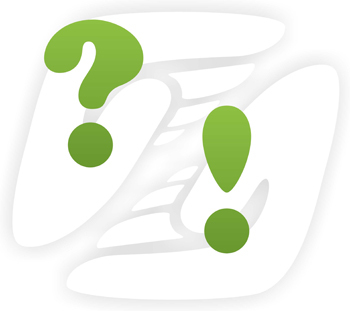 Operator of Help must constantly monitor posts, which are published in the project's blog, respond to request for information and provide answers as well as report on the implementation of the project. Eventually around each project a "Web of Trust" is forming – that consists of different users who verify the information, share their impressions about the project and support it. This system prevents fraud, increases the efficiency of the project and allows donors to choose project on their own criteria to support it. View documents of the project's implementation. Visit the place where the project is implemented. Appreciate the importance of goals or quality of performance (by rating or publishing comments in the blog of the project). Request to be an Advocate or an Inspector of the Project (filling the form on the website) and to get that Roles. Operator and UBB may approve or reject the request. A significant number of applications rejected by the Operator would be necessarily taken into consideration of UBB. 6.4.1. Advocate of the Project is a registered on the UBB website visitor who is not an employee of the Operator fo Help, but contributes to the realization of the project. The Advocate promotes project by all means. The Advocate has the ability to moderate the project's blog and is appointed to this role by the Operator or UBB. 6.4.2. Inspector of the Project is a registered on the UBB website visitor who is not an employee of the Operator fo Help, but is interested in the success of the project, perhaps – personally visited the place of its implementation and checked the information provided by the Operator of Help. The inspector is able to accommodate a photo report of his own visit to the Project location and to moderate the project's blog. The Inspector is appointed to this role by the Operator of Help or UBB. Project's blog is a set of proposals and issues within the competence of the Operator of the Project, and UBB. The Operator should regularly visit the UBB website, respond to the information request in the blog and answer the questions as well as to support projects in an active state. Only Operator of the Project or UBB can edit the Project's blog. Comments of Operator, UBB, Advocate, and Inspector are visually different from comments of Donor. Once a recording about a new project appears in the database, it receives the status "New Project". After the form of the Project will be fully filled in, and there will be presented three language versions of the text (Ukrainian, Russian, English) of the Project, it receives the status "Ready to publish". Status of the Project is provided by UBB or the Operator. After checking the project and signing an additional agreement to the contract between the Operator and UBB, UBB gives the Project a status "Approved", and the Project publishes on the UBB website and is marked "Support". When fundraising for the Project is over, and payments are no longer accepted, the project is given the status "Completed" and will be marked "Raised". After project implementation, verification and reporting given by the Operator approval by UBB, and its placement on the website, the project is given a status "The report is ready". This status can only be assigned to UBB and can be given only the project with the status "Completed". Projects with this status are marked "Done!". If the fundraising's stopped by the decision of UBB (for example, there is no longer need to raise funds; achievement of this goal's impossible; irregularities're detected by the Project participants; on the bases provided by the Agreement between UBB and the Operator etc. ), the project is given a status "Canceled". This Status is assigned only by UBB. In this case, it will be activated a mechanism of funds' redirection to another Project or Help reserve fund category (see Redirecting funds from Donors). 8.2. After publishing the Project all changes must be clearly displayed on the website and blog, and give users together with the reports a clear picture of the progress of the Project. 8.3. Project donors will be informed about the changes in the Project implementation. 8.4. The project continues to have active status until it will be raised 100% required amount. If within 6 (six) months from the date of publishing the Project on the UBB site there is not 100% required amount of the project yet, UBB may decide to cease the fundraising for the Project. In the case of the decision to cease fundraising and project closure, UBB informs the appropriate Operator of Help as well as the corresponding Donors of the Project about it, and decides to redirect the funds raised. identifying flagrant violations during project implementation. Cancellation of the project is performing by blocking the project profile on the website. Donors of the projects canceled are informed about the opportunity in 14 days to redirect their donations to other projects or Reserve fund categories. After this period, funds are redirected by the decision of UBB (see Redirecting funds). 10.1. Funds Transfer Rules are the must for all users of the Ukrainian Philanthropic Marketplace website. 10.2. UBB is responsible for the proper use of funds raised on the UBB website. 10.3. Operator of Help is responsible for proper use of funds raised on the UBB website. 10.4. The main object of charitable activityon the UBB website is charity Project. Each project can contain one or more items of expenditure which can be separately raise charitable donations within the overall fundraising for this Project . The total amount required for the implementing of the certain Project as well as the sum of the corresponding expenditure (hereinafter – Clause) of each projects is submitted by the Operator of Help – author of the Project – and agreed with UBB by signing an agreement between the parties. Operator of Help is obliged to submit factual information about the project and the total amounts of respective Expenditures of each Project. 10.5. Donors at their discretion determine the amount of their donation to the Project or Clauses of the Project . After the implementation of the charity project or stage of the project or the expiration of the period during which the charitable Project should have been implemented, Operator of Help shall within 30 calendar days provide a detailed report on using of funds received by Ukrainian Philanthropic Marketplace. 10.6. Funds received from Donors are transferred to the Ukrainian Philanthropic Marketplace bank account. The raised funds are transferred to the bank account of the respective Operator of Help in accordance with the terms of the agreement between the Operator of Help and UBB. If necessary and if needed for the project, according to a written request from the Operator of Help UBB can transfer a part of the funds raised, pending the completion of the collection. UBB through the publication of relevant information on the Project page informs Donors of each Project about the completion of fundraising, about its implementation, and reporting, etc..
10.7. The Donor can also transfer money to "Reserve fund Projects", "Mobile Reserve fund" and/or "Development of the infrastructure and statutory activities of UBB" and/or promotional donations boxes according to paragraph 2.6. these Rules and Procedures. In the case of transfering funds to "Reserve fund Projects" (Health , Education, Culture and Sports, Environmental and animals, Like home..., Our city), funds are accumulated in UBB bank accounts and directed towards the specific Projects to the appropriate category by the decision of UBB. In the case of transfering funds to "Mobile Reserve fund", funds are accumulated in UBB bank accounts and directed towards the specific Projects to the Health category by the decision of UBB. In the case of transfering funds to "Development of the infrastructure and statutory activities of UBB", including charitable Projects posted on this UBB website. 10.8. If within 6 (six) months from the date of publication of the Project on the Ukrainian Philanthropic Marketplace website 100% of the required amount of the project is not raised, UBB may decide to terminate the Project fundraising. In the case of such a decision, UBB informs appropriate Operator of Help as well as the corresponding Donors of the Project and decides to divert funds. (See Redirecting funds). 10.9. Charitable donations, which come to the UBB bank account without purpose (for example, are not specified: order number and/or name of the Project and/or the recipient of charity care, etc. ), or the information provided is not enough to identify the purpose of the donation, they are transferref to the statutory activities of UBB and reflected in the general list of UBB Donors. 11.1. In case of cancellation of the Project and ceasing of raisingcharitable funds for it (when the Project is given the status "Cancelled"), Donors are reported about the opportunity to redirect their donations to another Project or category "Projects' Reserve fund". If the Donor within 14 days did not take advantage of this opportunity, his charitable funds are automatically redirected to another Project or reserve fund of the Project by the decision of UBB. 11.2. In the case of charitable funds raised for the Project and the Project is given the status "Completed", donations of Donors which continue to arrive are automatically redirected to the section "Projects' Reserve funds". Such Project's Donors are informed about the possibility to redirect these funds to another charitable project or "Projects' Reserve fund". If the Donor within 14 days did not provide an answer, charitable funds are directed to other projects or "Projects' Reserve fund" by the decision of UBB. 11.3. In the case of charitable funds raised for the Project, the Project is given the status "Completed", and funds raised are not transferred from UBB to the Operator of Help, Operator of Help is eligible to apply UBB to reduce the amount requested by the Project if its fully implementation is not possible for valid reasons. In this case, the procedure is activated by redirecting funds of Donors. The appropriate Donors of the Project are informed about the opportunity to redirect their charitable funds to another project or redirected to the section "Projects' Reserve funds". If the Donor within 14 days did not provide an answer, charitable funds are directed to other projects or "Projects' Reserve fund" by the decision of UBB. 11.4. If after the completion of the Project or in case of inability to fully implement the Project because of the convincing reasonы there are unused funds transferred by UBB to the account of Operator of Help, The Operator of Help is obliged to inform the UBB about the reduction of the actual expenses of the charitable Project and to return the unused charitable funds to the UBB directed to UBB for the implementation of another charitable project posted on the UBB website. Project's Donors are informed of such occurrence, and all information about the Projects is published in the relevant sections of the UBB website. 12.1. 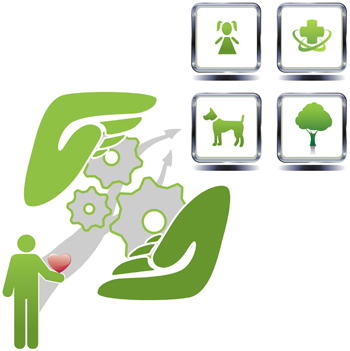 After the completion of the Charity Project Operator provides financial and narrative reports. According to the Agreement between the Operator and UBB, the Report should be submitted not later than 30 calendar days after the completion of the Charity Project or the expiration of the period during which the charitable Project should have been implemented. UBB consider the reports within 20 calendar days of receipt and in case of disagreement, the Operator sends a list of claims that must be allowed no later than 10 calendar days from the date of filing claims. 12.2. The report should consist the financial and narrative parts. Financial part should contain information about the committed expenditure of the Project with reference to the primary accounting documents and should be executed in accordance with the templates approved by UBB. Financial report must be signed by the Director of Operator of Help and sealed. Financial Report should be necessarily supported by copies of the primary accounting documents that Operator assures his wet seal. 12.3. The narrative report should give justification expenditure shown in the financial statements and demonstrate their suitability. The narrative report should cover the entire Project, not just the part that is covered by donations collected on the UBB website. This report should contain general information about the Project (title, objectives, goals, venue, dates, participants)as well as information about other participants involved in the Project, an expanded presentation of the essence project activities, outputs and outcomes. The narrative report must be filled in accordance with the templates approved by UBB and without using of specific terms used by the Operator. 12.4. Each page of the Project envisages that all the information is available for the public. Each potential Donor has the opportunity to acquaint himself with this information. The Pperator must ensure that information of the Project's page is updated continuously. 12.5. Reports about the Project are published as the blog posts, photos and/or videos, documents on the Project's reporting page. Documents in the "Documentation" should be submitted in the form of a full-color scan-copies of good quality and and the appropriate format. 12.6. An important element of trust is the regular publication of photo reports of the actions performed (if appropriate in terms of features of the Project), the publication of links TV spots, radio spots, newspaper articles and online publications related to the specific Project. Searching, preparation and submission of reports as well as specific references to the relevant projects to UBB are the obligation of Operator of Help. 12.7. The Operator of Help is responsible for checking the documents and information provided by the final recipients of charitable assistance, as well as for the proper control of the use of charitable funds by such final purchasers. 13.1. Website users agree that in accordance to the requirements of the Law of Ukraine "Personal Information Protection Act", UBB has the right to include the personal data provided by the users in the database of personal data, the processing of such personal data and, if necessary, to cause the execution conditions of the Act on the transfer of such data to the third parties. 13.2. Information about the Projects' Donors is available for UBB only with the consent of the Donors themselves and only for the purpose of sending a letter of thanks on behalf of the Operator. Postal address, account number and personal data of the Donors are not disclosed. Operator of Help undertakes not to disclose the information about Donors to the third parties, obtained by UBB, not to sign Donors to the automatic distribution of their organization and not to use this information for other purposes, unless otherwise agreed with UBB. For Operators of Help and Donors using the website at ubb.org.ua is free. No fee is provided. 100% Donor's funds raised on the UBB website, except on-line payment commision, are directed to the charity activities. 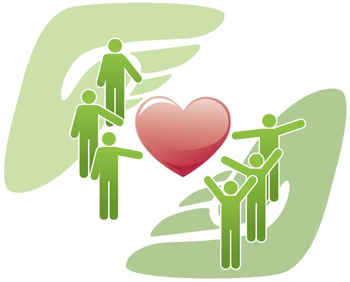 The present Law defines general principles of conducting charity in Ukraine, provides legal regulation of relations to develop charitable activity, promotes humanism and compassion, guarantees governmental support of NGOs activity, and facilitates conditions of effective activity according to the legislation of Ukraine. (Signed by the President of Ukraine in January 2013). Настоящий Закон регулирует отношения, связанные с осуществлением волонтерской деятельности в Украине. - Ukrainian Philanthropic Marketplace follows the principles of transparency, openness and complete reporting. We understand that the very first step should be taken by ourselves. - If you have any comments or question about the Projects, you may post them in the blogs under each Project. Your message will be automatically showed to the authors of the Projects and UBB-team.